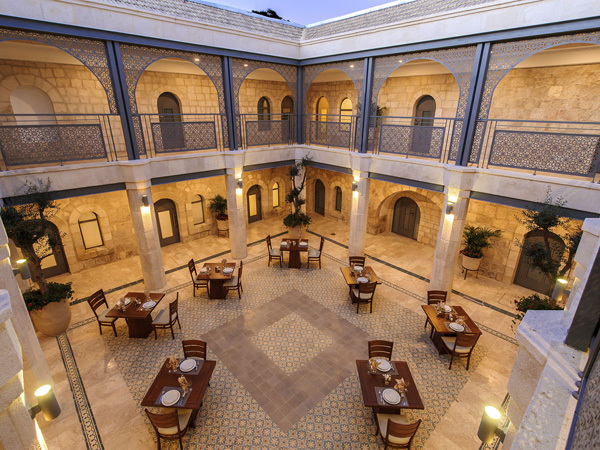 A unique hotel in Jerusalem's Jewish Quarter in the Old City. 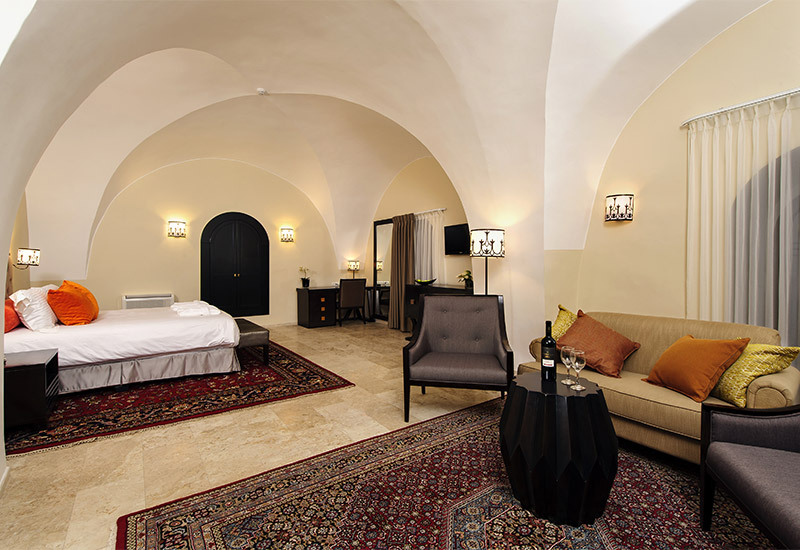 The Sephardic House hotel nestles at the very heart of the Jewish Quarter of Jerusalem's Old City – an exquisite jewel offering the ultimate hospitality in the magical atmosphere of Jerusalem. The building was first built some 200 years ago and completed towards the end of the 19th century. 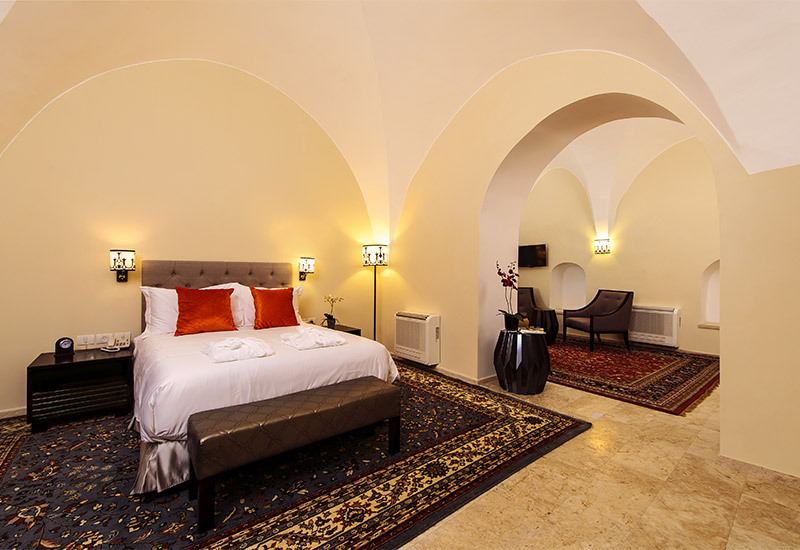 From the residence, there are superb views of the Old City and the City of David. 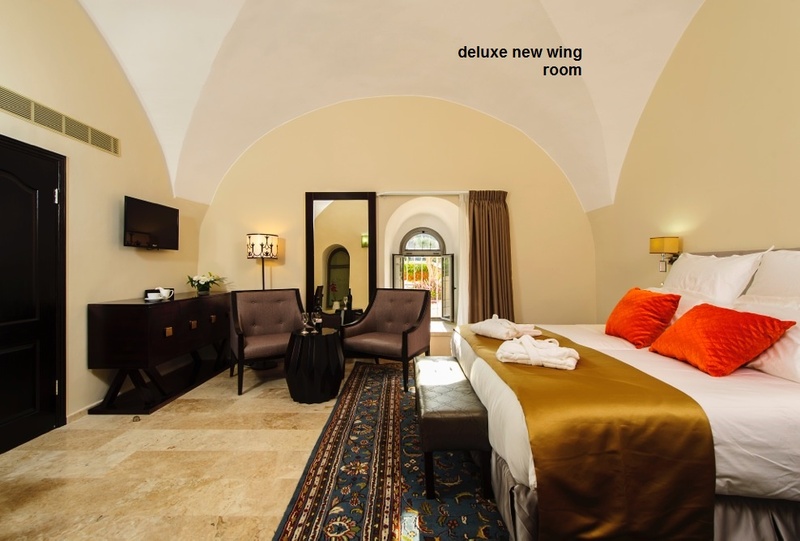 The complex boasts 51 guest rooms located in three separate wings, each offering a different level of accommodation and hospitality: Deluxe wing - offers superb and luxurious accommodation in 12 rooms and 3 suites. The entire storey of deluxe accommodations faces towards the charming patio with its echoes of a traditional Spanish courtyard orchard. Rishon LeTzion wing – a wing suitable for private events, such as family gatherings, with 6 rooms. Economy wing – with 30 standard guest rooms for dual and single occupancy. Our guest rooms have been designed meticulously in order to carefully conserve their historical features create a harmonious blend with modern luxury and comfort, so that guests can enjoy a truly unique holiday experience. Sephardic House is a unique building in the Jewish Quarter, located within walking distance of the magical alleyways of the Old City of Jerusalem, the ancient Hurva Synagogue, the Kotel (Western Wall), Mt. Zion, the Kotel tunnels, the Armenian Quarter, the Church of the Holy Sepulcher, the Mamilla District, the Jerusalem Cinemathèque and town center. On a Regular season may cancel reservation up to 7 days before date of arrival, no fee cancellation. Cancellation will make less than 7 working days prior to arrival date will result in cancellation fees - price of one night per room. Holidays and peak season may cancel your reservation up to 14 days prior to arrival date with no cancellation fees. Cancellation will make less than 14 days prior to arrival date will result in a cancellation fee per 1 night per room. 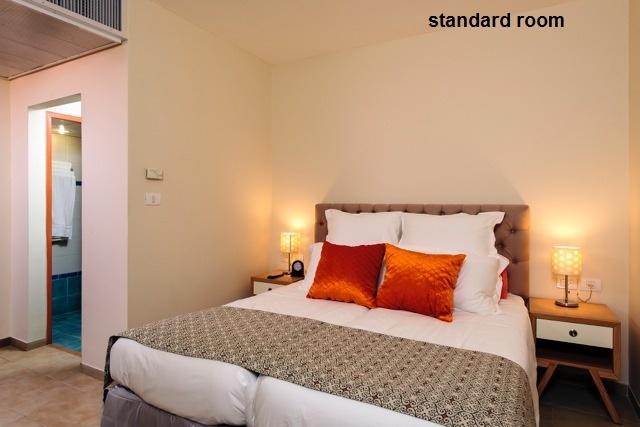 STANDARD ROOMTwin-bedded accommodation suitable for couples or single occupancy. with comfortable seating for relaxation, a suite shower room and ceramic-tiled floors. Facilities include: air conditioning, safe, refrigerator, tea & coffee-making facilities, flat-screen TV with cable channels, telephone, radio, alarm clock. Room size: approx. 20 sq.m. DE LUXE ROOMLuxurious and spacious rooms, superbly designed in authentic Spanish décor, with ceramic-tiled floors. Suitable for single or double occupancy, they can also be adapted for triple or family occupancy. Each room has a double bed, a comfortable seating area and an en suite shower room. In addition, facilities include: air conditioning, safe, refrigerator, tea & coffee-making facilities, flat-screen TV with cable channels, telephone, radio, alarm clock. Room size: approx. 29 sq.m. SUITESpacious and luxurious suite with authentic Spanish décor and ceramic-tiled floors. Suitable for up to four occupants. Each suite has a double bed, a spacious lounge and an en suite shower room. In addition, facilities include: air conditioning, safe, refrigerator, tea & coffee-making facilities, flat-screen TV with cable channels, telephone, radio, alarm clock. Room size: approx. 51 sq.m. 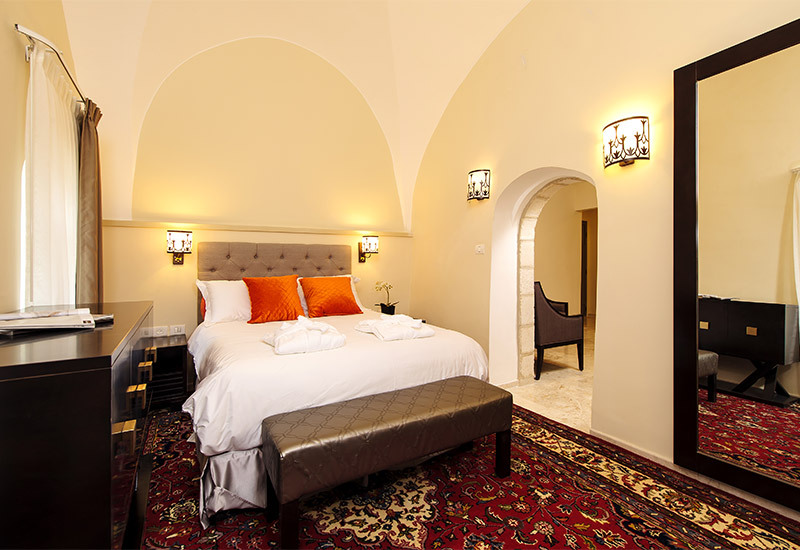 JUNIOR SUITECharming, superbly fitted suite with authentic Spanish décor and ceramic-tiled floors. Suitable for dual or single occupancy. Each suite has a double bed, a lounge area and an en suite bathroom. In addition, facilities include: air conditioning, safe, refrigerator, tea & coffee-making facilities, flat-screen TV with cable channels, telephone, radio, alarm clock. Room size: approx. 31 sq.m.